Ridge Cider Co. is located in Grant, near the “fruit ridge” area that is responsible for more than half of Michigan’s apple production. 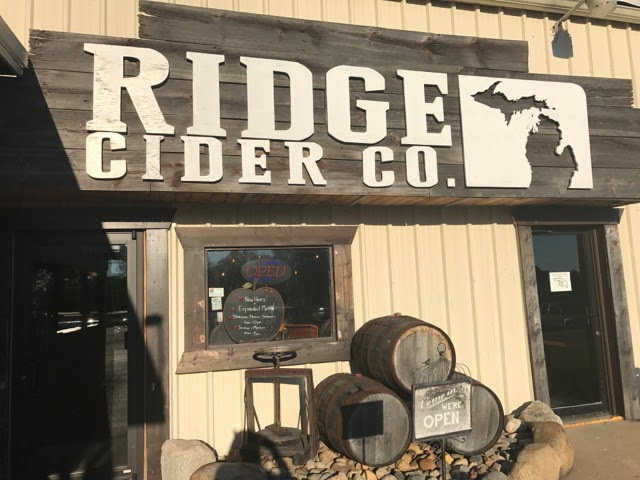 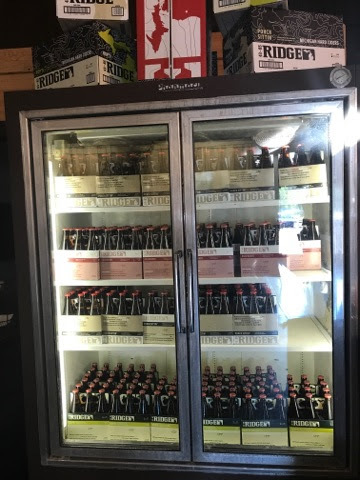 They have been making hard cider at their taproom alongside M-37 since 2015, and they recently completed a deal with an investment group that has helped put six-pack bottles of their product in retail outlets across the state. We recently stopped in to try out some cider and food, thanks to a Groupon we found offering close to $20 off of two flights and a growler. 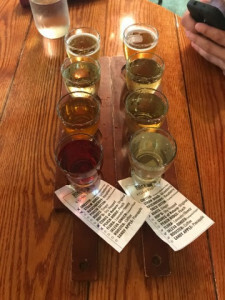 Our favorites were Chester, Straw Dogg, Roots and Flora. We really enjoyed Porch Sittin’ (Vanilla and Cinnamon Cider), Rashcberry (Raspberry Cider) and Hop’d when we had them at Barry County Brewfest. 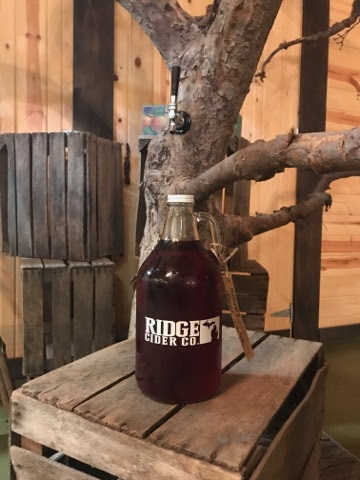 The other offering on tap when we visited was Sandy Apple (Pineapple Cider). 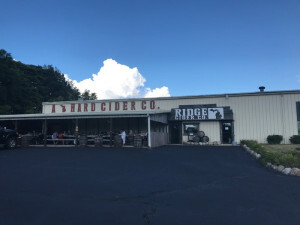 Ridge Cider Co. also offers a small food menu of appetizers and meal options. 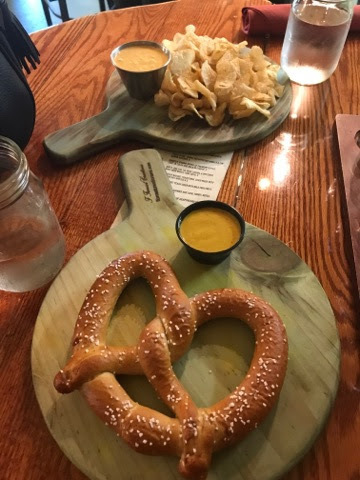 We tried out the pretzel with mustard and the buffalo cheese dip with chips. Both were reasonably priced and well prepared, and arrived quickly. Overall service was friendly, attentive, and knowledgable concerning the cider offerings. 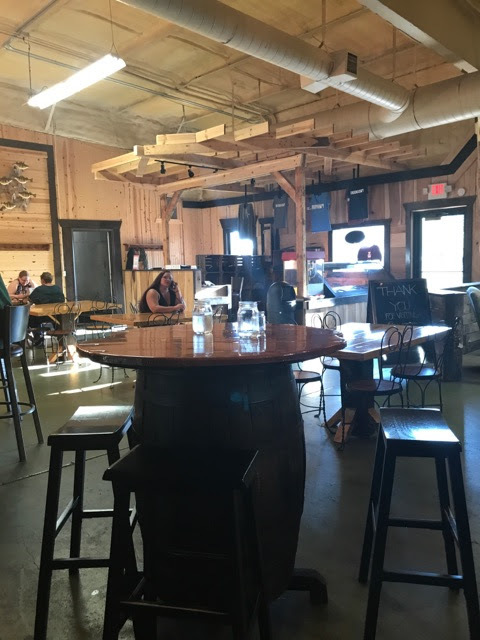 The inside of the taproom is spacious and has a heavy emphasis on wood and outdoor themes. 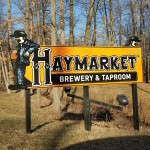 The atmosphere was casual, with a party (looked like a wedding reception) out on the outdoor patio. 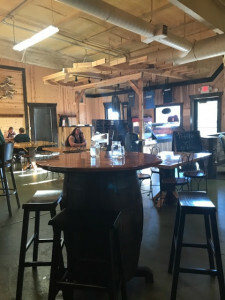 An indoor stage on one end of the taproom looked to be a great place for hosting live music. 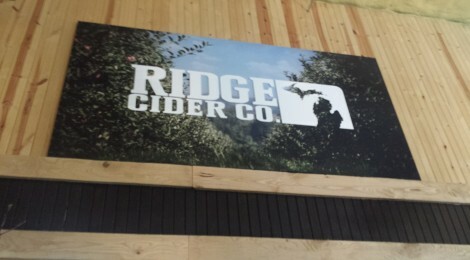 Ridge Cider Co. offers six-packs and growlers to go, and merchandise (shirts, etc.) is on display and for sale as well. 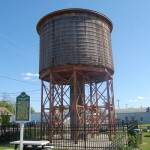 Be sure to head into town and check out the historic Grant Water Tower, a wooden water tower that dates back to the late 1800s. 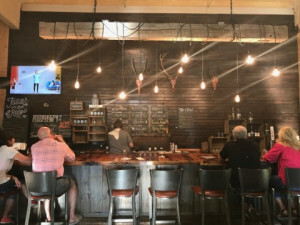 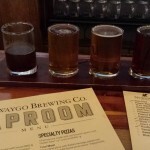 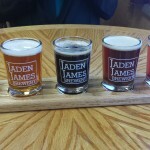 Newaygo Brewing Co. is located 12 miles north on M-37.